Welcome to the Label Tech Inc Blog. This blog examines some of the cutting edge technology available in the label industry today. Hot Foil stamping and embossing create richly textured labels that add perceived value to products. These processes are often used on specialty foods, wine and high-end retail packaging to denote an exceptional level of quality. Hot foil stamping is a dry printing process in which color pigments or metallic foil is transferred from a continuous roll to the label using heat and pressure. Hot stamping and holographic foils are made up of several layers. These include a polyester carrier, a release layer, a number of lacquer, image and metal layers, and an outer adhesive-sizing layer. During the hot foil stamping, a heated die forces the foil against the substrate, which is supported by a counter-plate or counter-cylinder. A combination of this pressure and the activation of the adhesive allows the foil to attach itself to the substrate, a process that is aided by the melting of the release layer. 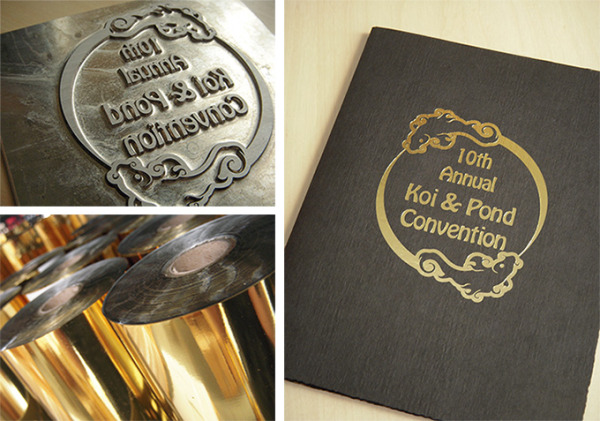 The dies used in hot foil stamping are predominantly made from brass and are produced by etching or by engraving. The foils can be a solid color, metallic (gold, silver or copper), refractive or holographic. The process is used on a wide range of products to create decorative finishes and anti-counterfeiting measures. In the packaging industry the applications include food, pharmacy, tobacco, and luxury goods packaging, as well as labels for products such as wine and spirits. Beyond packaging, hot foil stamping is extensively used on banknotes, greetings cards and throughout commercial print. Cold Foil is a fast growing technology that allows printers to apply foil onto a substrate. Cold foil transfer is a process in which aluminum, transported on a metalized polyester carrier, is applied on a label substrate without the use of heat. Adhesive is first printed on the substrate,; the metalized coating of the polyester carrier is then transferred only to the areas where the adhesive has been applied. This inline process is a new technology that allows manufacturers to apply metallic foil and print over it at press speed. This gives the ability to lay down foil and print over it to produce brilliant metallic effects with an infinite spectrum of colors. With the huge advances in foils, label manufacturers can print fine lines, reverse outs, half tones and full tones, all in accurate register. Cast & Cure is a decorative coating process that integrates casting and curing techniques to create holographic, ultra high gloss, or matte finishes on select areas of a printed piece and is suitable for a wide variety of substrates. The process lays down the UV coating and then applies a specialty film that incorporates a micro-embossed holographic pattern within the film. With the film lying over the coated sheet, the coating is cured and the film is stripped away, leaving the holographic pattern on the sheet. The film is reusable for multiple applications. Cast & Cure is an ideal application for the decorative print market and can be incorporated with anti-counterfeiting features for brand security applications. Options in design are endless and the process can support a myriad of end-use markets, including cosmetics, wine labeling, health & beauty packaging, among many others. Varnishing is the process of applying a transparent layer of silicon over a printed area. It can be applied to the entire surface of a printed item or to highlight a specific area of design, such as a logo. This blog will explain all the various label varnishes available today. Gloss Varnish  It provides added gloss to materials and inks and protects printing from routine scuffing. It has excellent adhesion to both water based and UV curable inks on all types of substrates. A spot gloss varnish allows you to highlight specific areas of a printed piece and adds shine and depth to specific elements on the page, such as a logo or image. Matte Varnish  unlike gloss varnish, it is chosen when customers want the inks on the label material to look muted, dull, or soft. This coating was formulated to have a gloss of less than 5%, while preserving the colors of the inks beneath it. Thermal Imprintable Varnish  is an over print varnish designed for excellent receptivity of wax or resin-based thermal transfer ribbons. It was designed for flexographic applications on paper as well as plastic. This coating is also used in the tag industry for non-slip issues. Thermal imprintable varnishes are available in high gloss and matte finishes. Soft-Touch Varnish is a high-viscosity coating that imparts a leather-like, almost rubbery feel with a rich matte appearance. Soft Touch coating has a finish that will flatten out color and contrast. It gives surfaces a very special velvety-soft feel. Soft-Touch varnish is suitable for application to entire surfaces or individual parts. Braille Varnish  is designed specifically for braille fonts, including those used for pharmaceuticals; when used correctly it meets current standards for dot heights. This varnish forms a layer on the surface to be felt to the touch and be able to withstand multiple stresses. It is vital that the braille dots be very robust in order to withstand the rigors products can face in transportation and to ensure they reach the customer in perfect condition. 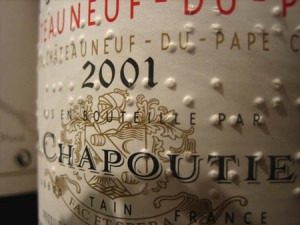 Braille varnish achieves excellent durability of dots on all types of substrates. Glitter Varnish  Metallic flakes of glitter can be used in combination with matte or gloss UV coatings. This type of varnish allows designers to create unique specialized effects in a variety of shapes, colors and dimensions. Pearlescent Varnish  is popular in the creation of luster effects, enabling new and unique color effects for automotive, industrial, cosmetic, pharmaceutical and other applications. This luster effect is caused by adding miniscule metal flakes to the gloss varnish, producing a pearlescent appearance. Scent Varnishes  can be applied directly onto labels or packaging as a spot coating and allow companies to incorporate scent directly onto packaging. Scent coatings are different from scratch-and-sniff, as that technology requires actual scratching to release the scent. Stock scents and custom scents can be developed for brands to give them a unique scent associated with the product. Hundreds of different scents are available, including Chocolate, Fresh Cut Wood, Bubble Gum and Suntan Lotion. With all the varnish choices available today, be sure to work with your label printer to choose the right varnish for your project. This blog is for informational purposes only. All drug labels should follow current FDA regulations. Label Tech Inc. is not an authority on FDA regulations. For FDA regulations click here. 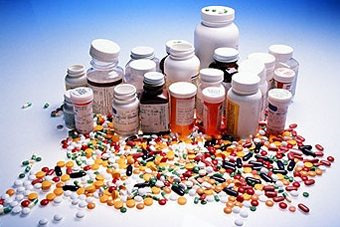 A recent poll reveals that 60 percent of people using prescription drugs have made errors in taking medications. An estimated 100,000 people in the US die every year because of medication errors. These deaths are preventable and better pharmaceutical labels may be one of the best methods of prevention. The quality of the labeling is extremely important to the patient's perception of the quality of the product and may have profound implications for his or her safe use of the medication and compliance with the prescribed regimen. This blog will examine some of the requirements for drug labels. The Food and Drug Administration (FDA) is a regulatory agency within the Department of Health and Human Services. A key responsibility is to regulate the safety and effectiveness of drugs sold in the United States. The FDA divides that responsibility into two phases: pre-approval (pre-market) and post-approval (post-market). New drug labels must be submitted in the pre-approval stage of FDA testing. Drug labeling refers to all of the printed information that accompanies a drug, including the label, the wrapping and the package insert. The FDA regulation that is required to appear on a drug label depends upon the regulatory classification of the drug. Prescription (Rx) finished drugs have very different (and much more comprehensive) drug label requirements than active pharmaceutical ingredients (APIs). Similarly, there are very different requirements for over the counter drug labels than for homeopathic or prescription (Rx) drug labels. The FDA requires that drug labeling be balanced and not misleading. The label must be scientifically accurate and provide clear instruction to health care practitioners for prescription drugs and to consumers for over the counter drugs. Labeling regulations require that the statement of ingredients include all ingredients, in descending order of predominance in the drug. These ingredients must also be identified by their established name. In evaluating prescription drug labels, the FDA looks at the overall usefulness of the information that accompanies the drug. The name of the medicine along with any critical warnings must be given top billing. The label must describe the uses of the medicine along with the conditions under which the medicine should not be used. The consumer must be given directions for the contraindications, for example, "Talk to your health care professional before taking this medication if any of these apply to you." Under FDA regulations, the label must describe foods, drugs and activities that the patient should avoid while taking the medication, along with any related precautions. The drug manufacturer must spell out the symptoms of any adverse reactions to the drug. The FDA requires the manufacturer to collect this information. If the patient faces any risk of drug tolerance or dependency while taking the drug, the label must contain a warning. The label must also contain clear instructions for the correct use of the medication, including dosage and the required procedure in the event of a missed dose. This description should cover any special instructions, such as taking the medicine with food or water. In addition, the label should spell out storage instructions and general instructions, such as discussing questions with a health professional, because the label is not intended to be all-inclusive. The label should warn of the danger of giving the drug to someone other than the patient. Drug labels also detail another serious safety issue: potentially dangerous side effects that can occur if a drug is taken concurrently with another medication. These so-called interactions are noted in the highlights section of the label. Less important and less frequent risks are also listed farther down on the label. When designing a drug label, be sure to consult the FDA for current drug labeling requirements. The purpose of a coating is to protect the printed piece from dirt, smudges, fingerprints, scratching, etc. Coating also provides scuff resistance. It can also improve the visual appeal of the piece by providing a glossier and smoother finish. The right coating can help protect the printed piece or add a creative dimension. The results will usually look best on coated paper because the hard, nonporous surface of coated paper holds the coating on the top of the paper rather than absorb it. Varnishing is the process of applying a transparent layer of silicon over the top of a printed area. It is applied to a specific area of design - such as logos in order to highlight it or to the entire surface of a printed item. The result is a glossy or matte luxurious appearance. Aqueous Varnish, also known as water-based varnish, is among the most commonly used coatings available today. Available in gloss or matte finish, this varnish does a good job protecting inks against abrasion and rub resistance. It also resists yellowing, which is common with unprotected labels that have been in storage for a while. Because they seal the ink from the air, aqueous varnishes can help prevent metallic inks from tarnishing. Specially formulated aqueous coatings can be written on with a number two pencil or overprinted using a laser jet printer. These are generally considered to be one of the most sustainable coating options available today because the formulas are nontoxic in the pressroom, and treated paper can be recycled in standard municipal systems without emitting harmful byproducts. The cleanup process does not require toxic cleaning detergents, nor does it necessitate high temperatures (e.g. added energy) for drying. Ultraviolet Varnish offers more protection than aqueous coatings. UV varnishes are applied in line and then exposed to ultraviolet light to polymerize and harden the coating, with zero emissions. When UV is used on deep, rich colors, like blues and rich blacks, the result is an almost wet appearance. This can be highly effective with image-rich projects. The stunning shine it creates is why it is so popular for certain designs and products. UV varnishes can either be applied across the entire page or on a spot basis. The coatings are available in a gloss or matte and have a wide variety of specialty finishes, including glitter, tints and even different scents. UV coatings should be used in conjunction with UV inks to help reduce the potential for drying and surface problems. Specialty Varnishes can enhance labels with a variety of different effects. Soft-Touch is a tactile aqueous coating that is very pleasing to the sense of touch and exhibits an ultra-matte appearance. The combination of these two effects is visually stunning and brings new dimensions to label appearance. There are a wide variety of different specialty varnishes available today. Find more here. Laminating is the process of applying a film of plastic on the surface of labels. When plastic coating is added to any item it becomes tear-proof and waterproof, since the laminating film encapsulates the item completely by bonding it to both sides. Polypropylene lamination is the most popular and least expensive laminate available today. It is available in gloss, satin and matte finishes. Polypropylene provides a softer finish than other laminates, which makes it the best choice for projects that will be prone to scratching. It's possible to write on polypropylene films using dry erase and other types of markers. Polypropylene is a good bet when you are looking for increased strength and good protection at a reasonable cost. Polyester Lamination is the most durable of all laminates, polyester offers the greatest strength and abrasion resistance, at a cost that is usually higher than polypropylene. Polyester provides a hard coating that is extremely resistant to scuffing and tearing, in gloss, satin or matte finishes. This lamination is heat resistant and will not become brittle with age because it contains no plasticizers. Specialty Lamination - Besides clear laminating films, there are a variety of specialty films that can be laminated. Metallized films in gold and silver as well as other colors are available, and holographic films are now becoming more popular in many patterns. Most often, these films are then over-printed or even foil stamped once they are applied. There also are iridescent films that have unique color shifting abilities and are translucent, so they can be applied over printed graphics. The key in choosing the right coating is to work closely with your printer. Discuss the effect you're after and the level of protection you need to provide. Then consider how to best apply your budget to reach those objectives. This blog is for informational purposes only and all dietary supplement labels should follow current FDA regulations. Label Tech Inc. is not an authority on FDA regulations. For FDA regulations click here. The nutraceutical industry is rapidly expanding, encompasses everything from vitamins and herbal products to genetically modified foods and processed foods. Dr. Stephen DeFelice coined the name nutraceuticals and he defined it as Food, or parts of food, that provide medical or health benefits, including the prevention and treatment of disease. Nutraceuticals can be classified as either dietary supplements or functional foods. This blog will look at dietary supplements and their labeling requirements. A dietary supplement is a product (other than tobacco) that contains one or more dietary ingredients (including vitamins, minerals, herbs or other botanicals; amino acids; and other substances) or their constituents. Dietary supplements are to be taken by mouth in pill, capsule, tablet or liquid form and is labeled on the front panel as being a dietary supplement. 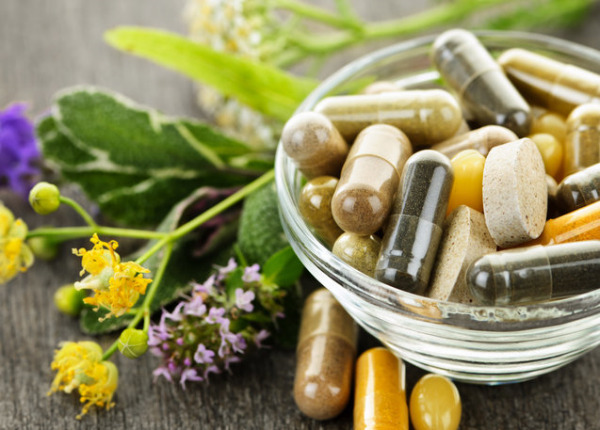 Not everyone in the dietary supplement business is aware that the Food and Drug Administration (FDA) requires compliance with the Dietary Supplement Health and Education Act (DSHEA) in manufacturing, packaging, labeling, and holding operations for dietary supplements. Any company involved has to establish and to follow DSHEAs to ensure that packaging and labeling are done as specified in the master manufacturing record and to ensure the quality of the product that reaches the market. Practitioners such as herbalists, acupuncturists, naturopaths, and other related health care providers are subject to the DSHEAs rule. DSHEA is meant to reassure consumers that dietary supplements will not have; unsafely high ingredient concentrations, harmful contamination from substances such as toxins, bacteria, pesticides, glass, lead, or other heavy materials, inaccurate ingredient statements on the Supplement Facts label; or misleading claims about ingredients and health benefits. First off, the label must contain the name of the product (including the word supplement or a statement that the product is a supplement). It must include net quantity of contents, serving size, amount per serving (by weight), as well as directions for use. The DSHEA requires that the label contain the dietary ingredients specified in the master manufacturing record. Dietary supplement labels must include: a Supplement Facts panel for all active ingredients; an Other Ingredients panel that lists every inactive ingredient contained in the supplement product; and a statement identifying the product as a dietary supplement; and Supplement labels must also state the name and address of the manufacturer, packer or distributor. If the product is an herbal, the label must also state the plant from which the supplement is derived. Its fine to make claims of nutritional support on your supplement label, as long as you have the data to justify your claims. However, supplement labels with claims regarding functional health benefits such as calcium builds strong bones must include a disclaimer on the label, which states that the FDA has not evaluated the claim and that the product is not intended to diagnose, treat, cure or prevent any disease. Despite this disclaimer, all health claims must be truthful and not misleading to consumers  or the FDA will recall the product and may fine the manufacturer. It is illegal to make a dietary supplement label claim that indicates that the supplement is a treatment or cure for any condition or disease. Whether its a straight forward label or a complex Expanded Content Label be sure to understand the FDA label requirements before printing your label. Colors are more than just visual cues  they can evoke emotions in consumers and completely change how they feel about specific products and services. Jonathon Schuldt, assistant professor of communication and director of Cornell's Social Cognition and Communication Lab, recently published a study in the journal of Health Communication. Schuldt asked 93 university students to imagine that they were hungry and picture a candy bar while waiting in line at the grocery store. The students were presented a candy bar with either a red or a green calorie label and asked to guess whether the treat contained more or fewer calories and how healthy it was. The results showed the students perceived the green-labeled bar as more healthful than the red one, even though the calorie content was the same. Schuldt repeated the experiment with 39 online participants who were shown candy with either green or white labels and the results were the same. But the online survey also indicated that the more importance participants placed on healthy eating, the more they perceived the white-labeled candy bar as less healthful than the green one. 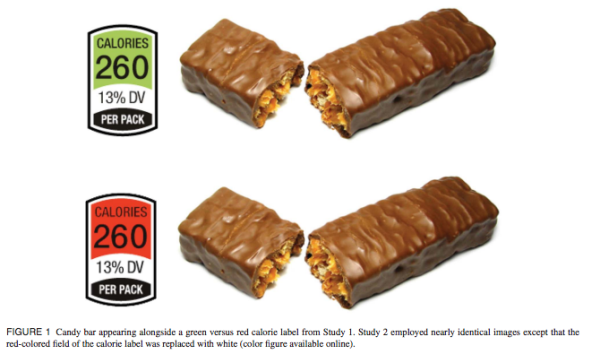 While you may not sell candy bars or even food, this study confirms the importance labels play in the purchasing process and just how crucial it is to select the right color and design for your labels. As a KISSmetrics report on how colors affect purchases indicates, 93 percent of customers judge products by visual appearance, compared to the 7 percent who go by texture and smell. Additionally, 85 percent of customers say color is one of the primary reasons they purchase a product. Colors can also become associated with specific brands. Four out of every five consumers say that vibrant colors help them remember brands. When designing labels, businesses should place special emphasis on color selection. Time should be spent on market research and identifying a target market. Colors such as orange, red and royal blue tend to catch the eye of impulse shoppers, while navy blues and teals are more likely to attract budget shoppers. Labels should reflect their product's target audience. Work with a graphic artist to produce a design that will appeal to your target market and, if possible, test the response you get from an unbiased audience. While the extra time and money may seem overkill for custom labels, Schuldts new study proves just how influential this seemingly inconsequential item has on the purchase process. Even a small change, such as label color, can make a big difference and significantly increase sales. As the old expression goes, "There are no second chances at making a good first impression." Whether consumers are browsing the shelves of a grocery store or picking a bottle of wine from a liquor store rack, labels are often the key to making that first impression. Colors are the most basic element of label design. After these are established, businesses should figure out what images, logos and copy they want to include on the package. It's crucial that all four elements work together to create the best first impression on shoppers. There are a variety of ways to produce custom labels. Two of the most popular methods are flexographic printing, also known as flexo, and digital printing. This blog will take a close look at both printing methods and help you decide which is right for your label. Flexography is a printing process that utilizes plates made from rubber or plastic to transfer an image to a substrate. 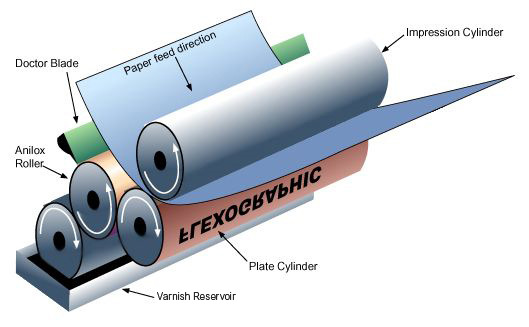 This flexible plate is wrapped around a printing cylinder and adhered with sticky tape. These plates pickup ink and transfer the image to the label material or substrate. Due to its use of fast drying inks, it becomes a high speed printing process and is an extremely popular method within the food industry. The substrate shoots rapidly through the press, resulting in speedy, economical and high quality label production. Flexographic label printing is ideal for larger runs of custom printed labels. Because of the high speed and volume capabilities of the press, flexo is typically a more economical alternative to other printing processes. This printing method affords a wide assortment of materials and technical capabilities. It is versatile and can be used for printing on almost any type of substrate, including polypropylene films, metallic films, and many papers. Flexo does well printing metallic inks and opaque whites; flexo inks anchor well on a broad range of materials including polyester, polypropylene, florescent labels, vinyl labels, and most coated papers. Most flexographic printing companies have the ability to make photopolymer plates on site. Photopolymer plates withstand millions of impressions. Plates, along with the presses inking system, can deliver a predetermined amount of ink with minimum on-press adjustments. These fast-drying inks can be solvent based, water based or ultraviolet (UV) curable. Flexographic printing is constantly evolving and manufacturers are taking successful steps to make flexo even more productive, cost effective, and sustainable while printing with even more consistent quality. Digital printing is commonly used for short run, full color labels. This process does not require plates, which makes it easy to implement changes or run multiple lots. Digital printing gives labels the professional appearance without the professional cost. Labels can be printed easily with variable data. This allows consumers to personalize labels with customers names or account numbers. Digital printing relies on CMYK (cyan, magenta, yellow and key  black), also called 4-color process. Digital printing is an excellent option for short runs with multiple designs. The set-up costs for digital labels can be an ideal solution for smaller companies or those wishing to purchase a small quantity of product labels. Also, the turnaround time for digital labels is quicker by eliminating the set-up time needed to create plates and set up presses. One of the key advantages of digital printing is the accuracy of the proofing it allows. Extremely detailed samples can be made of your print job quickly and cost effectively, enabling you to hold a sample in your hands that will be replicated in the final print run. Digital printing has emerged as a viable option for customers to get high quality on smaller print jobs while also keeping costs down. It has actually helped make flexo an even better process because of what it forced flexo to accomplish: better registration, rapid changeover, wider color gamut and higher quality prepress. Proofs are important for ensuring accuracy, not just in color reproduction, but in content management and page layout - spelling and type errors, position issues, etc. Proofs serve many purposes and are very important, one could relate them to the rough draft of an essay. It saves the cost of printing a final document that may contain errors or unexpected color changes. The primary goal of proofing is to serve as a tool for customer verification of job accuracy. This blog will look at all the choices available to the customer when it comes to proofing. When you place a custom label order you have a choice. You can request a PDF proof of your artwork, a color proof or a press proof. The biggest advantage of PDF proofs is speed. Once the art is finalized, the prepress department sends a PDF proof to the customer. With a PDF proof you can receive and approve your proof immediately after prepress has emailed it to you. It is always going to be the quickest proofing method. If your artwork is fairly simple, with just text and some basic graphics then a PDF proof may be right for you. You can view your proof on your screen or print it out on your inkjet or laser printer. Keep in mind that the colors will be different from your finished labels. Color proofs, also called match prints are proofs printed using color management. Software associated with the printer utilizes sophisticated technology to simulate the printing behavior of diverse printing technologies. This software analyses color from a specific device. For example, a press and applies that to a profile. This color profile is then applied to the job upon printing for an accurate color representation. With press proofs you get to see exactly how your labels will look. 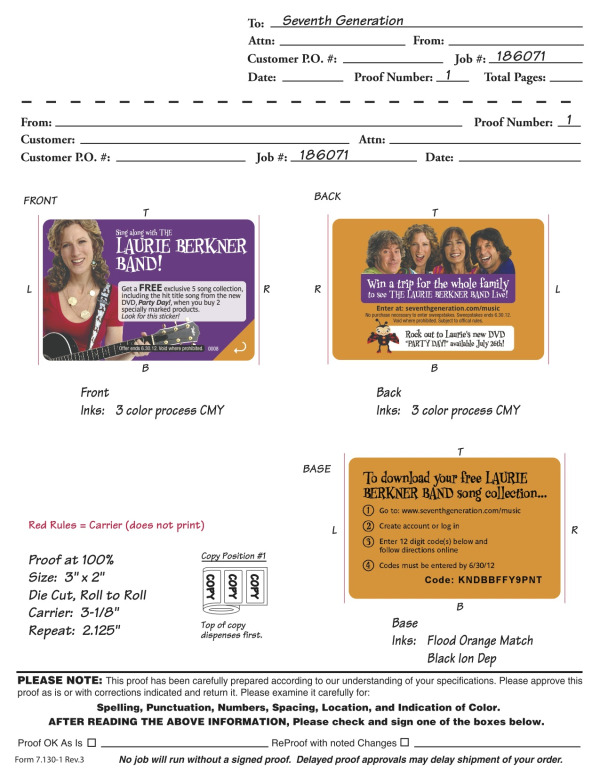 If your label is being printed digitally, you can request a digital press proof. This proof is printed on the same press that will print the finished labels, so the color will be exactly the same. You can even cut out the label from the proof sheet and stick it on a jar or container to see how it looks there, thus avoiding any surprises. If your labels are being printed on a flexographic press, a press proof would be too costly. This is because the whole press would need to be set up with stock, plates and colors just for one press proof. The alternative, if color is critical, is to be involved in the printing process. Being on press while the label is manufactured allows the customer to see the final product. If the color isnt to the customers liking, plates can be adjusted to meet the customers needs. Whichever proofing method you choose, always proofread your label artwork carefully. It is good to have someone else proofread it as well. It is a lot less expensive to fix a problem before the artwork goes to press than after you receive your labels. When you think your art is fine, just proof it one more time. We have learned from experience that the more time you spend studying your proof, the less likely a mistake will make it through to press. The beverage industry is one of the largest industries in the world and also one of the most competitive. Beverage manufacturers are looking for any advantage when it comes to having their product stand out on the shelves. Manufacturers are becoming more aware of the impact labels have on their potential customers and are putting more effort into label design. Beverage labeling, once almost an afterthought, has come a long way. No longer a device used for simply naming the product and listing its ingredients, labeling is now an art form, a promotional tool that not only tells a story, but sends a valuable come-closer message to increasingly demanding consumers. Labels, with their eye-catching design and clear information, are what help customers pick up the beverage in the first place. A quality drink and satisfying taste will keep customers coming back for more. This blog will take a look at some of the technology used with beverage labels. More and more beverage companies are moving away from paper labels towards film labels. Graphically you cant do as much with paper as with film. Film yields a higher print quality. Paper labels cant take the same abuse, like getting wet, hot or scratched. In addition to durability and moisture-resistance, many customers and consumers are seeking an upscale appearance as well. This can be achieved through design, but also via the labeling material itself. Manufacturers are becoming increasingly focused on green technology and efficiency. Beverage companies are always looking for ways to save money without cutting corners, so sustainable technology is top of the list now because of the potential savings that it represents. This means using materials that cost less and do not interfere with recycling. Beverage companies are also looking for thinner films. One of the advantages of going thinner is that it can take some of the cost out of the process because youre using less material. It helps the label really disappear on the bottle  the thinner it is, the more it looks like its painted on the bottle. Thinner labels also help beverage companies become more sustainable. By switching from a 2.6 mil white BOPP to a thinner construction made from 2.4 mil white BOPP, customers can reduce the environmental impact associated with this material. These results are driven by a 23% reduction in the material weight of the facestock, adhesive and liner. Clear film labels are popular in cases where color is among a products main features. It allows companies like Gatorade to show off the products color, which often drives consumer selection. A lot of consumers select Gatorade flavors based on favorite colors and not flavors. 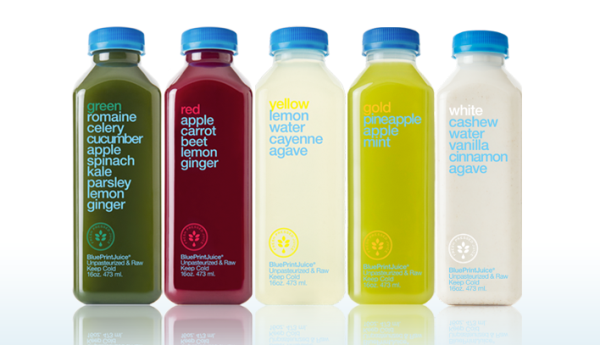 Clear labels are used because beverage makers want the product to interact with the package graphics to create maximum shelf appeal. The clear, no-label look packaging is viewed as more contemporary, modern and hip. The no-label look is popular among other non-alcoholic beverages, like fruit drinks, teas and coffee drinks. [Kra-Ze] Vodka - It's Crazy Good!!! You may have noticed that there seems to be a new vodka brand on the market every week. With several hundred choices out in the marketplace, the need to differentiate becomes vital to the survival of the brand. [Kra-Ze] Vodka is the brain child of lifelong friends Carl Brown and Kevin Clang from Connecticut. The idea came to them as they were enjoying a homebrew mixture of 192-proof vodka mixed with flavorings. The homebrew evolved over time. With lots of trial and error they came up with Lemon Lime and Four Berry. The berry flavored version won a silver medal in 2011 at the Wine and Spirits Wholesalers of America spirits tasting competition, before the product had even hit the shelves. They knew they were onto something special and they needed a label to convey that idea. This blog will take an in-depth look at the construction of the [Kra-Ze] vodka label. The label construction is complex and on the cutting edge of flexographic print technology. What most people initially notice about the label is the hologram in the globe and around the perimeter of the logo. The hologram is printed using a technique known as cold foil. Cold foil is a fast, cost-effective inline process that works in conjunction with most printing techniques. Cold Foil is applied to a UV-curable adhesive image using a standard printing plate. The foil is affixed to the printed adhesive, creating an image prior to the application of printed inks. This is an affordable way to simulate the look of a holographic metal substrate. [Kra-Ze] is using a rainbow holographic cold foil, which adds depth and movement to the image. The rainbow holographic foil has a three-dimensional look while also adding sparkle and shine. The label also has a QR code, or Quick Response Code on the side of the bottle. QR codes are becoming more and more popular in consumer advertising. Smartphone users can install an app with a QR-code scanner that can read a displayed code and convert it to a URL. It then directs the smartphones browser to the [Kra-Ze] website. This is a quick and effortless way to drive consumers to the [Kra-Ze] website. Essentially, free advertising. [Kra-Ze] even goes a step further with their label. Theyve put their logo on the back of the label. When looking at the back of the bottle you can see the logo and insignia on the backside of the front label. Have a look at the picture above. Youre looking through glass, through vodka, through the adhesive, through the clear substrate to the logo. This is accomplished by printing the logo mirror image on the clear substrate. White is then laid down using a rotary screen-printing method. Screen-printing is the process of forcing ink through mesh and onto the printing surface. This allows the white ink to go down thicker than if a standard plate had been used in flexographic printing. The logo, along with the cold foil, are then printed on top of the white. The rotary screen is necessary with this label in order to prevent the consumer from seeing through the label, therefore seeing the printing on the other side. 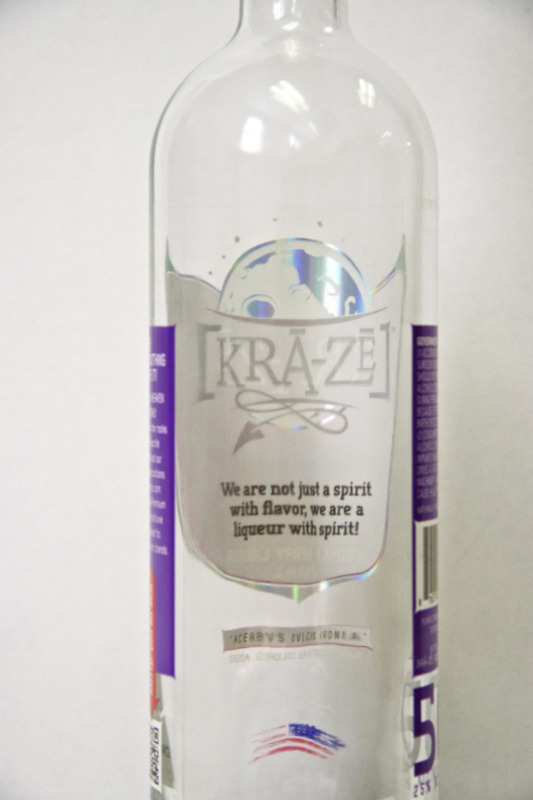 [Kra-Ze] Vodka utilizes cutting edge printing technology for an eye-catching label. 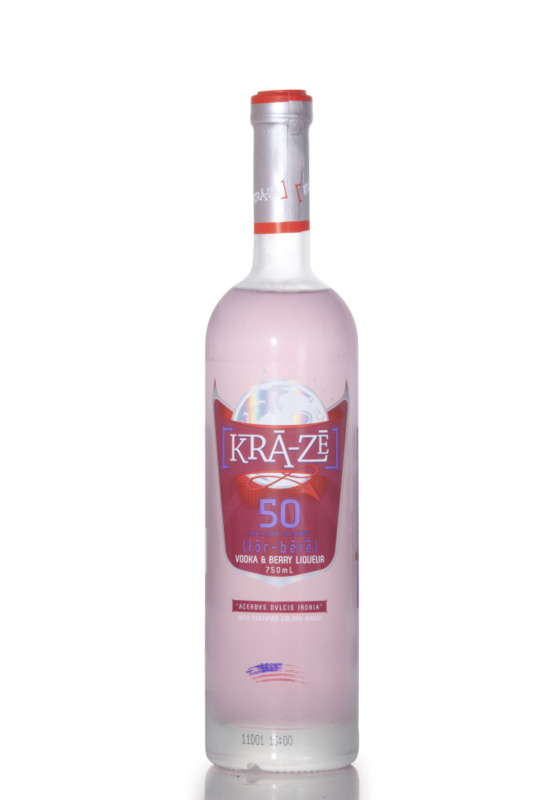 Next time youre at the liquor store, be on the lookout for [Kra-Ze] Vodka. Or, maybe I should say next time your in the liquor store, you cant miss [Kra-Ze] vodka. Label Tech Inc is a commercial flexographic, UV flexographic and rotary screen printer of pressure sensitive and non-pressure sensitive materials. Over the past 30 years we have grown to over 70 employees with 11 presses, including digital printing and plate making technology, housed in a 60,000 square foot workplace running 24 hours a day. Label Tech, a recognized industry leader, became ISO registered in 1998 and is an FSC, UL & CSA approved printer.